Both a novel and a feature film, these southern delicacies have graced our culture for many years. I tried them for the very first time at Hundred Acres in New York only a couple of months ago, they are HIGHLY addictive and the spicy dipping sauce they are served with makes them even better. 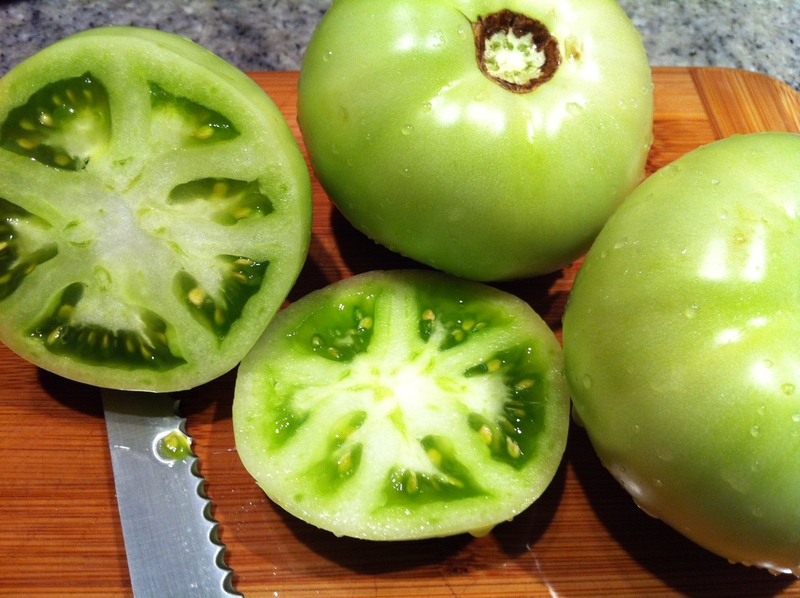 You don’t often see green tomatoes at the grocery store – I tracked mine down at the Union Square farmers’ market on a rainy Wednesday. Slice the tomatoes in 1/4″ slices, lay them on a sheet pan and salt them thoroughly. 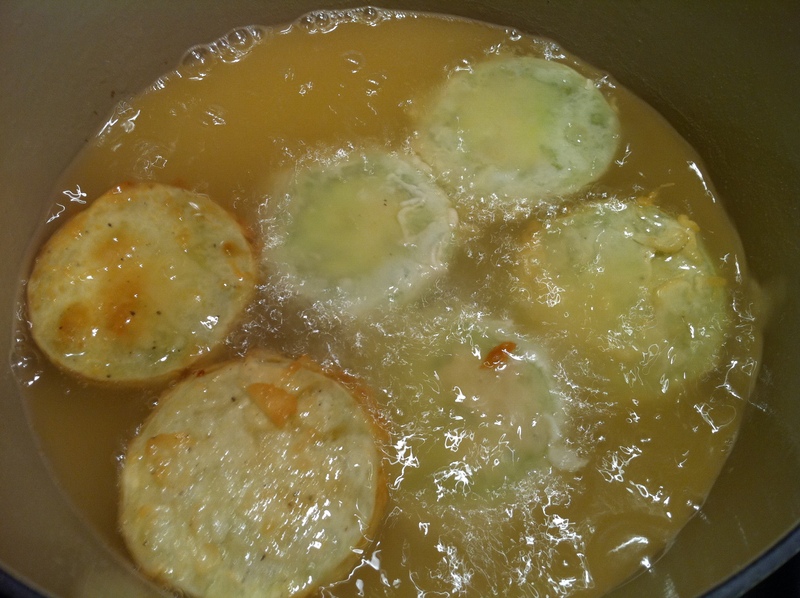 Place all of them in a colander for about 30 minutes to drain off some of the juice. In a heavy-bottomed pot (such as le creuset) heat up the oil. Dunk each tomato slice in the buttermilk, then thoroughly dredge in the flour. Deep fry the tomatoes in the oil until they are golden brown and crisp. Place them on a paper towel to drain. Thoroughly mix all ingredients together, serve with tomatoes and enjoy! 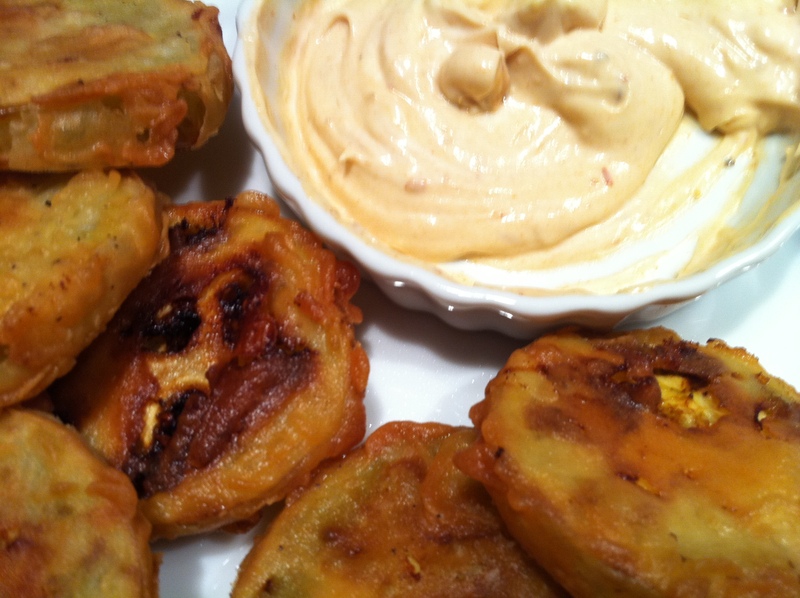 This entry was posted in Tomatoes and tagged batter, buttermilk, deep fry, flour, fried, green tomatoes, oil, spicy aioli, tomatoes. Bookmark the permalink.